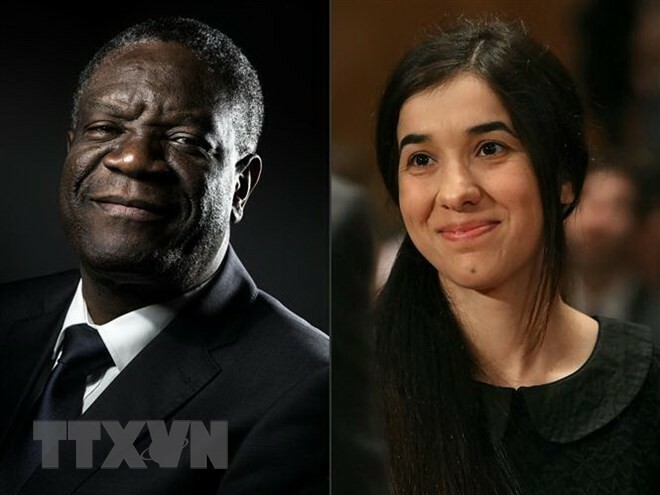 (VOVWORLD) - Congratulations have flooded in after the Norwegian Nobel Committee decided to award the Nobel Peace Prize for 2018 to Denis Mukwege of the Republic of Congo and Nadia Murad of Iraq for their efforts to end the use of sexual violence as a weapon of war and armed conflict. This is richly deserved recognition of these two extraordinarily brave, persistent and effective campaigners against the scourge of sexual violence, said UN human rights chief, Michelle Bachelet. The president of the European Council expressed his deepest respect for the courage, compassion and humanity of the two winners. Secretary General of NATO Jens Stoltenberg thanks the two Nobel winners for their tiredless effort in anti sexual violence in the war.